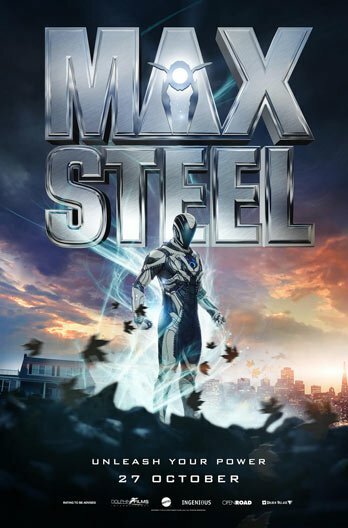 Synopsis: From the producers of ARRIVAL and STRANGER THINGS comes KIN, a pulse-pounding crime thriller with a sci-fi twist, and the story of an unexpected hero destined for greatness. 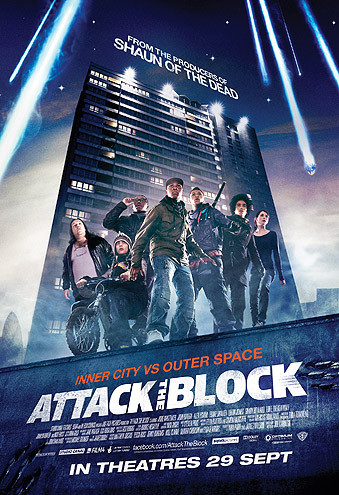 Chased by a vengeful criminal (James Franco) and a gang of otherworldly soldiers, a recently released ex-con (Jack Reynor) and his adopted teenage brother (Myles Truitt) are forced to go on the run with a weapon of mysterious origin as their only protection. 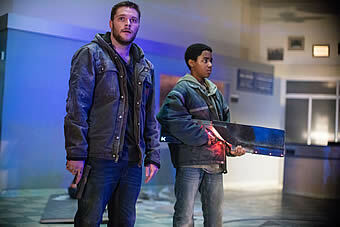 Based on the 2014 short film, Bag Man, Kin centres on a plot unfolding in an eerily hushed neighbourhood in Detroit where Elijah Solinski (Myles Truitt), an adopted son and Hal Solinski (Dennis Quaid) a protective father goes about their daily lives to have Jimmy Solinski (Jack Reynor) the big brother return from prison. On the parallel, Eli finds the cutting-edge gun in an unbeknown abyss and flees the scene with it, guarding it dearly. 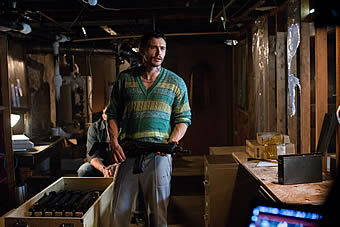 When Jimmy lands himself in some grave mafia mess, with Taylor Bolek (James Franco) a crime lord, Hal sniffs out the plan. And all else derails, setting the plot into motion. 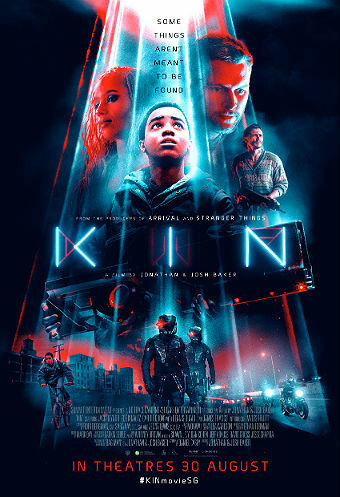 In September 2016, Lionsgate bought the film rights to Kin for about $30 million at the Toronto Film Festival.Directed by Jonathan and Josh Baker from a screenplay by Daniel Casey, Kin tries to weave a family drama, with some element of sci-fi and fast action. What remains cool is the fact that Baker twins who are brothers themselves set their hearts on bromance as Kin’s chief element. The choice of cast sets the foundation of the screenplay. Quaid smoothly delivers his no-nonsense father figure role. Reynor fits well into the role of an ex-con who is irresponsible but has enough warmth and love for a brother who isn’t his own. Franco plays the callous bad guy and no one could have fitted the role better than himself. 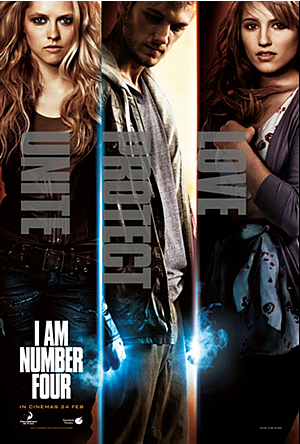 Zoe Kravitz joins halfway into the action with her character as a stripper and a trusted ally of the brothers. And Truitt, the talented debutant from Atlanta, whom we could expect to see more often on big screens gave his best as a teen who tries forging real connections with his adoptive family. The gadgets are looking state-of-the-art. 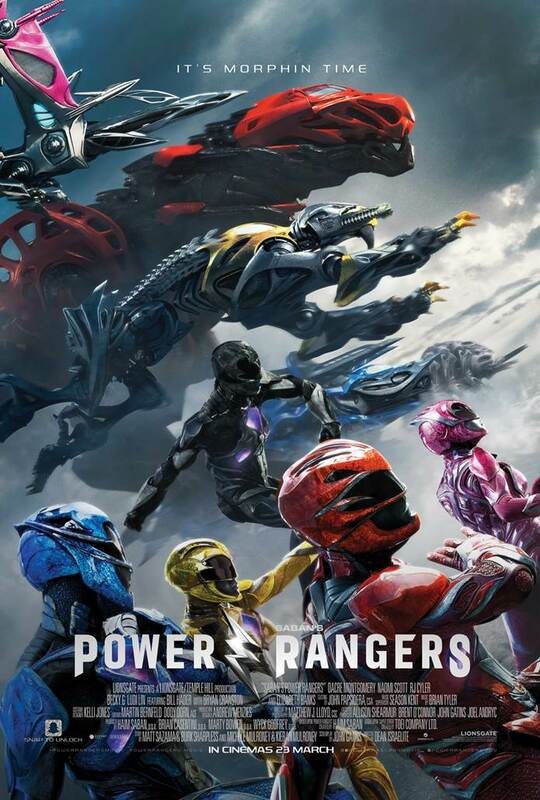 The helmets seem as though they come straight out of Blacklight Retribution. It carries some elements of Destiny (the game) but with a fresh twist. Kin has one of the most incredible CGI that can’t possibly be overlooked. One might even experience nostalgia of Bishop in X-Men. The downsides of Kin would be that the characters could have been further developed to lend some depth to the storyline. When compared to Bag Man, Kin has the scope to make it big commercial-wise; whereas the former could have been made into an original, full-length movie. And there is nothing sci-fi about Kin except for the gadgets and gun, which at times seemed unbelievably buoyant for a 14-year-old adolescent to carry it around and fire it like a pro.